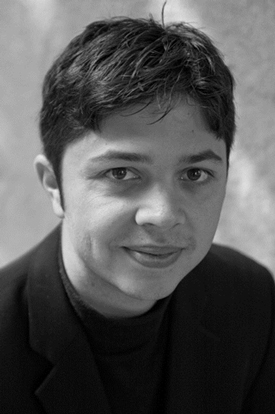 Violinist Isaac Allen is a founding member of the award winning Hausmann Quartet. Mr. Allen attended Manhattan School of Music and received his Undergraduate Diploma from The Longy School of Music, Masters of Music in Chamber Music Performance from Kent State University and an Artist Diploma from San Diego State University. Mr. Allen has studied violin with Ivan Chan, Laura Bossert, Terry King, Patinka Kopek and chamber music with Robert Mann, Earl Carlyss, Silvia Rosenberg and members of the Juilliard, Orion, Vermeer, Emerson, Alexander, Miami and Alban Berg String Quartets. Mr. Allen has performed throughout Canada, the U.S., China and Taiwan performing frequently at arts hubs such as Lincoln Center and the Chicago Cultural Center. With a strong dedication to teaching and coaching chamber music, Mr. Allen has given master classes throughout the United States and served as a violin instructor and chamber music coach at various schools, universities and festivals including San Diego State University, San Francisco State University, Brookline Music School, Villa Musica, The San Diego Chamber Music Workshop and the Yehudi Menuhin Chamber Music Seminar. An active leader in the arts, Isaac Allen currently serves as both the President of ASTA San Diego and Artistic Director of the Hausmann Chamber Music Program, a new summer festival and semester program for chamber music in San Diego. Aside from HCMP’s festival, other festival appearances have included, La Jolla SummerFest, Music@Menlo, Aspen, the Great Lakes Chamber Music Festival and the Blossom music festival. As a chamber musician, he has performed with Lydia Artymiw, Jeremy Denk, Paul Neubauer, Toby Appel, Steven Ansel, Ronald Thomas, Paul Katz and the Alexander and Borremeo String Quartetâs.